Below you find a video from Yahoo! Movies talking with Juno Temple and Daniel about Horns. (and Daniel talks about his rap on Jimmy Fallon). Update: 12th November 2014. Another video. 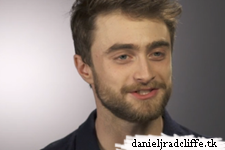 Know your co-star with Daniel Radcliffe and Juno Temple.